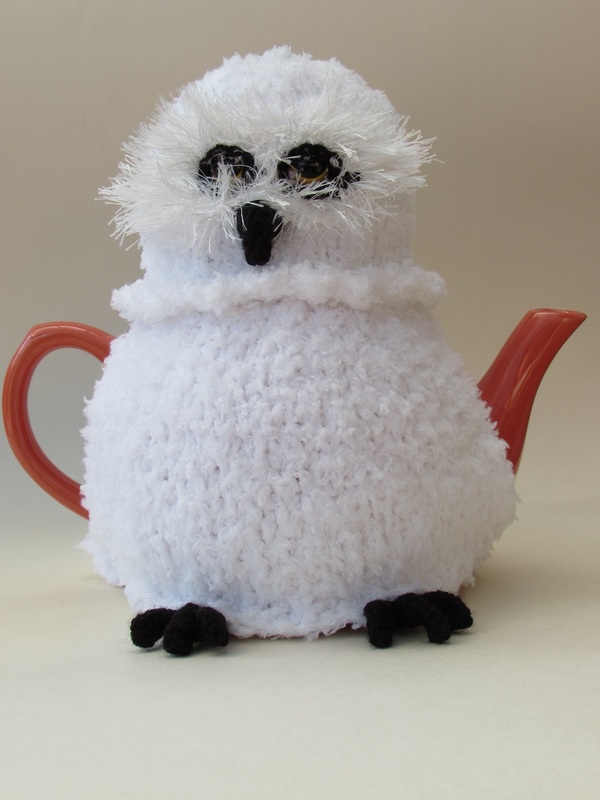 The Snowy Owl tea cosy is perfect for any owl lover. 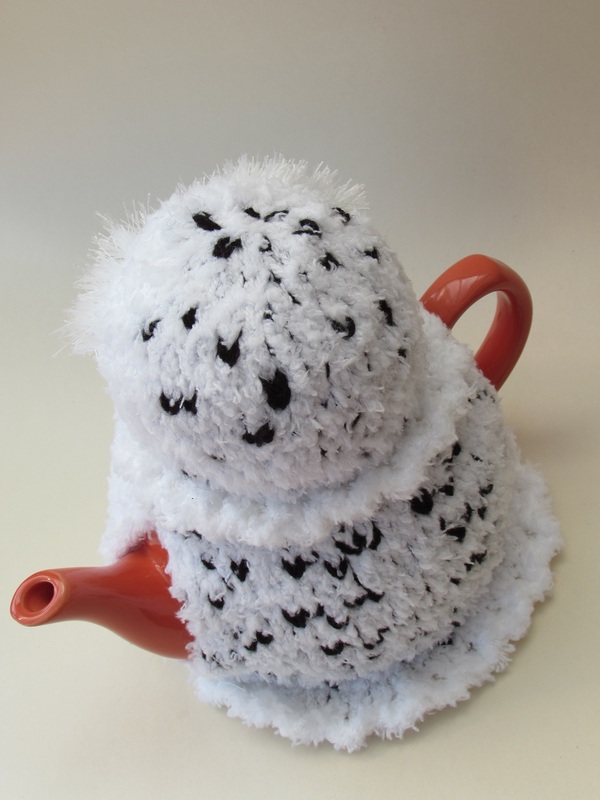 He's a lovely plush tea cosy thanks to the Sirdar Snowflake yarn. 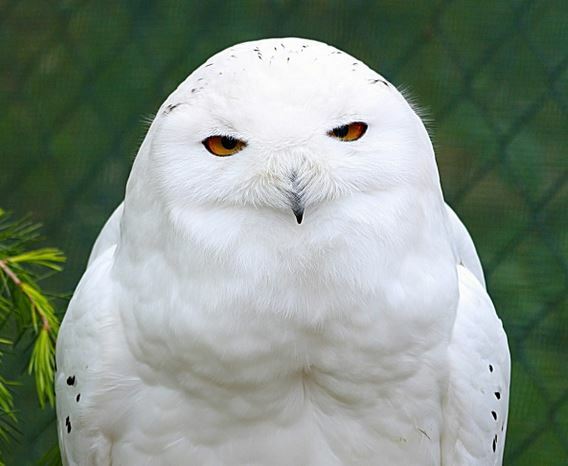 His eyes hides behind a mask of fluffy feathers and he looks as if he's not had enough sleep. And if he's on the breakfast shift he's probably not had enough sleep. 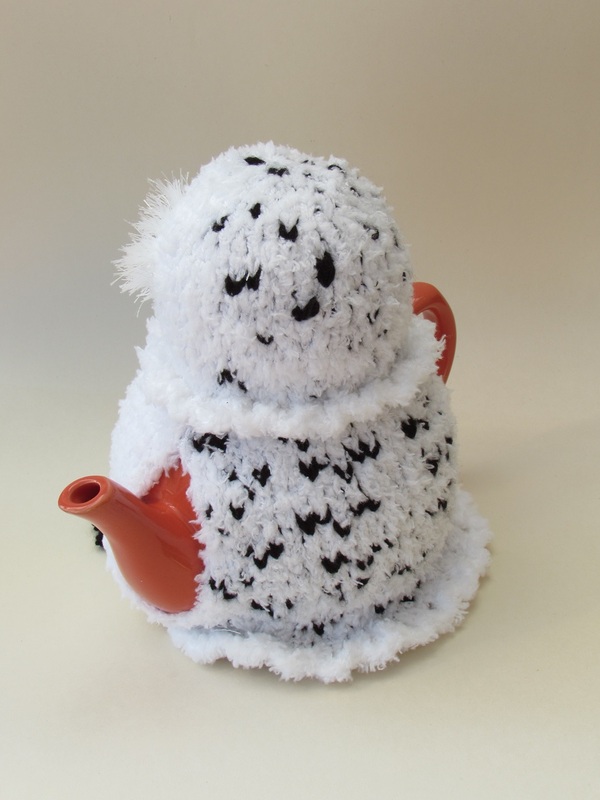 The Snowy Owl tea cosy would make a lovely Christmas tea cosy if you wanted a change from the usual festive style tea cosies. 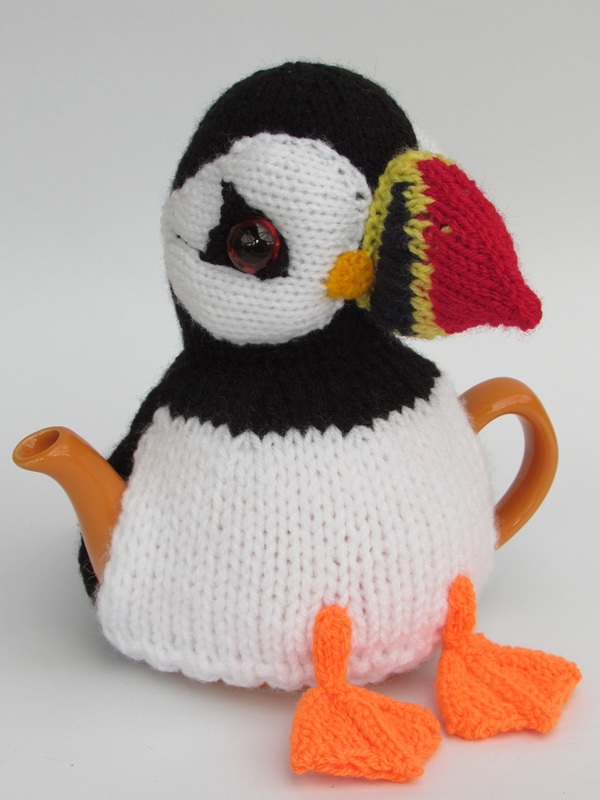 The black fleck of the feathers is achieved by knitting from a chart and bringing in black wool. 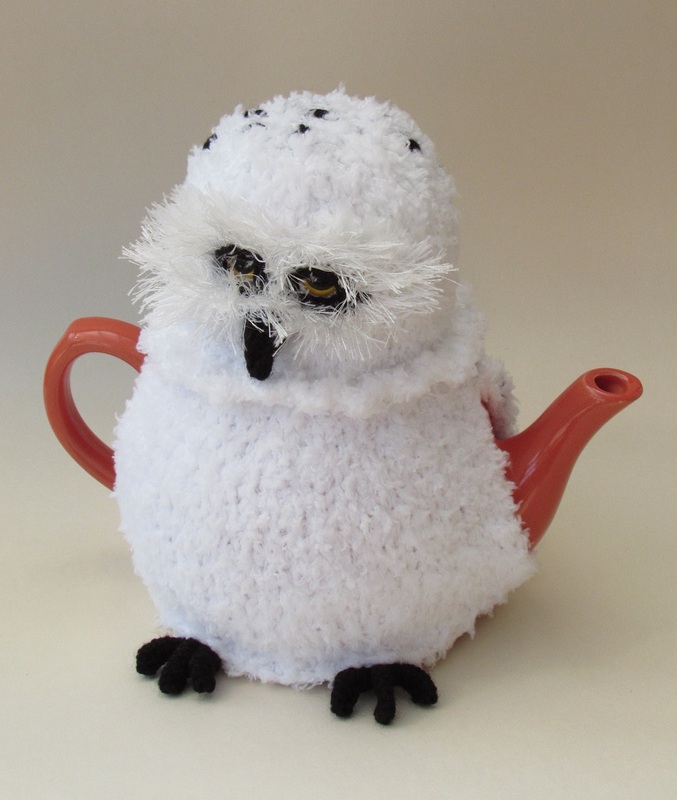 Snowy Owl Tea cosy. 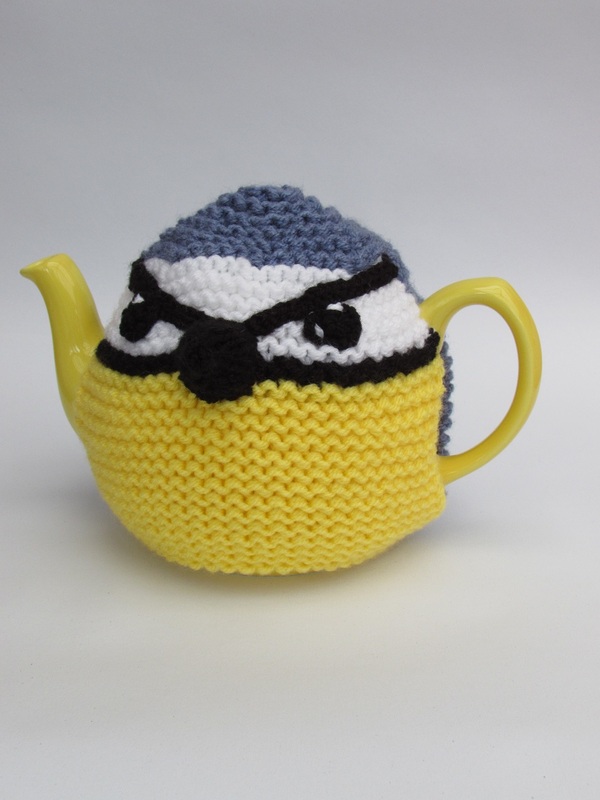 This was a delight to knit. I was worried about the eyes but they turned out very well. 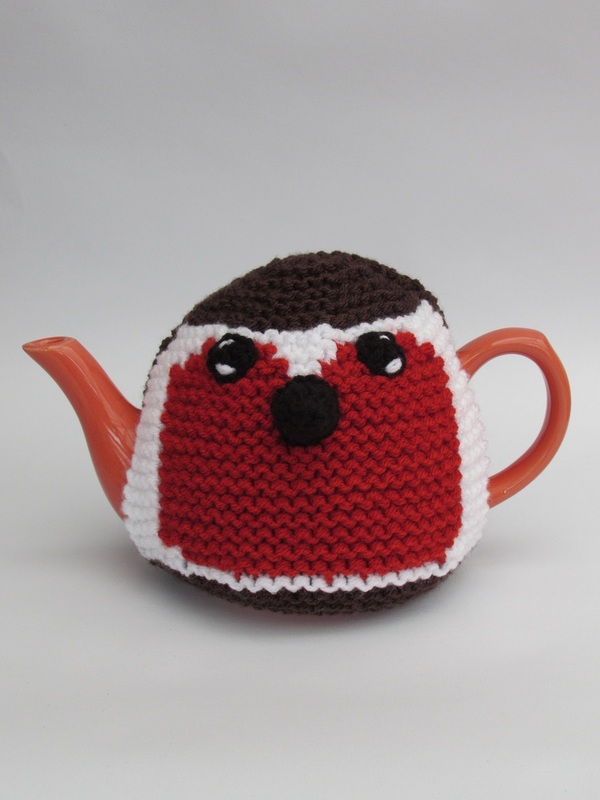 I find all the tea cosy patterns I have bought have been great and I have enjoyed knitting them. 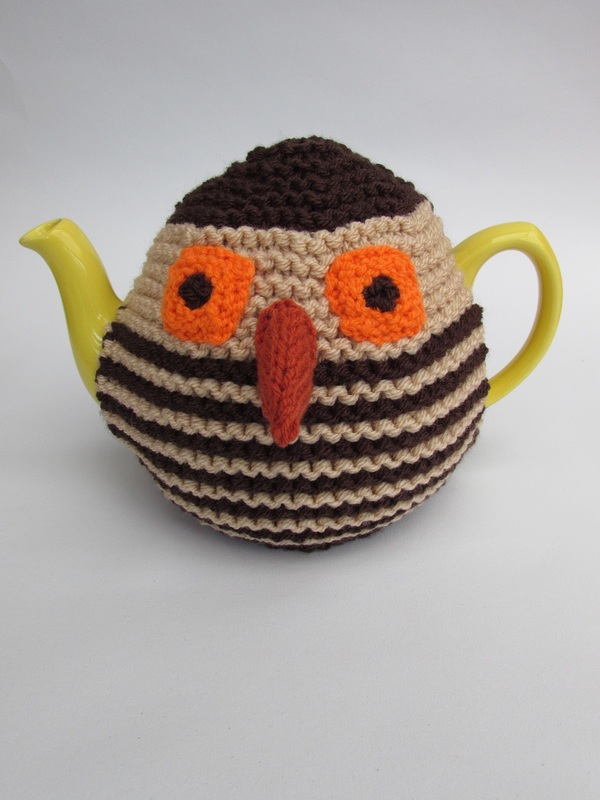 The bird owl one would be good for a beginner and the finished cosy is so good it should give one the confidence to move to harder ones. 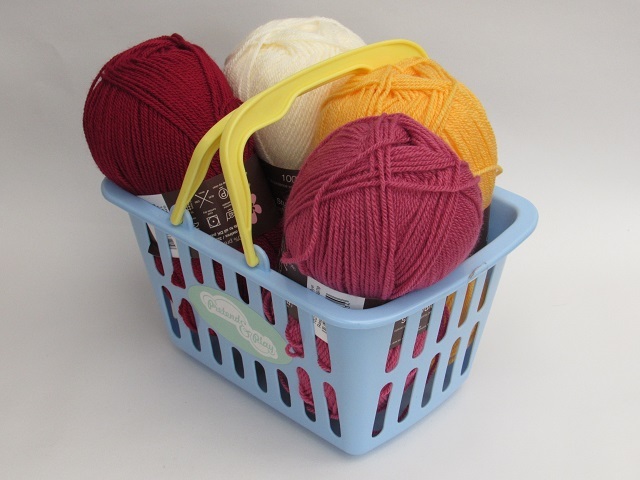 I am looking forward to attempting the new Christmas Winter Wonderland cosy. 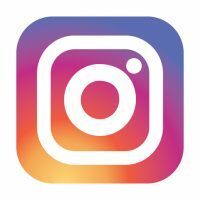 Thank you for such great patterns.